In January of 1995, Michael A. Pyle founded Michael A. Pyle, P.A., the predecessor of Pyle & Dellinger, PL. Before that, he practiced law for another local firm for 13 years. Michael A. Pyle practices estate planning, probate, guardianship, real estate, and elder law in Daytona Beach, Florida. He is Board Certified by the Florida Bar in the area of Real Estate. He is a member of the Executive Council of the Real Property Probate and Trust Law Section of The Florida Bar, serves on the Probate and Guardianship Forms Committee, and previously served as Chair of the Real Property Forms Committee. 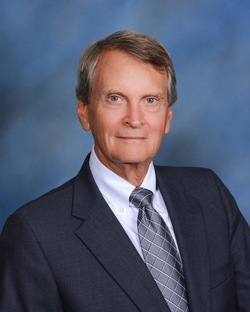 He is a Past President and prior Board Member of the Academy of Florida Elder Law Attorneys. He is a member of the Board of Directors and Trustees for Attorneys Title Insurance Fund, and was Chairman of the Board for the year 2001-2002.